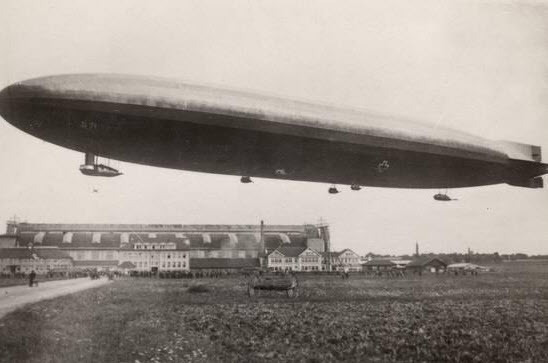 One of the two new "super" Zeppelins handed over to the British at the end of the first world war. At the end of WW1 the Allied powers quickly decided to dismantle whatever was left of the German war machine. They required the Germans to surrender all remaining instruments of war, among which were 21 Zeppelins. The Allies worked out a plan to divide these amongst themselves. After a careful survey, seven were declared obsolete and dismantled, seven destroyed by the German Crews, the rest divided up between the British, French Italian and Japanese Governments. 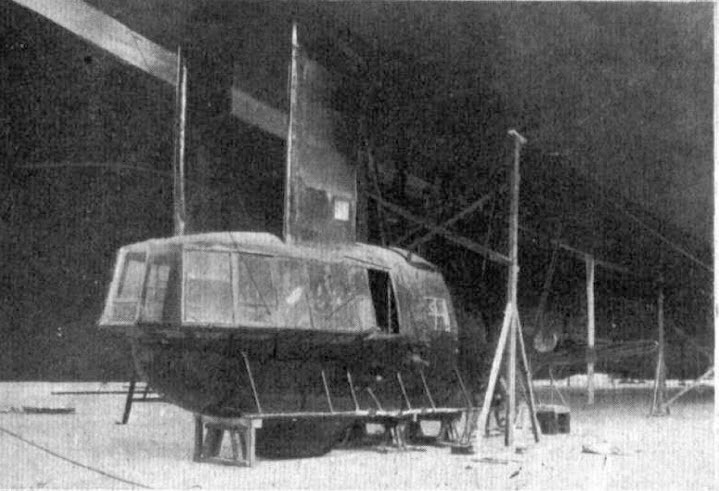 Following the post war agreements on reparations, it was agreed that these would be handed over to the Allies and restrictions were put on the German Government on the construction of future airships. 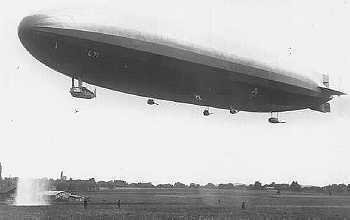 The L71 was from a new class of "super" Zeppelin with the intention of having the ability to bomb New York. The Germans had already proved that a lengthened Zeppelin could fly over 5,000 miles, as with the famed L59 and the flight over Africa. 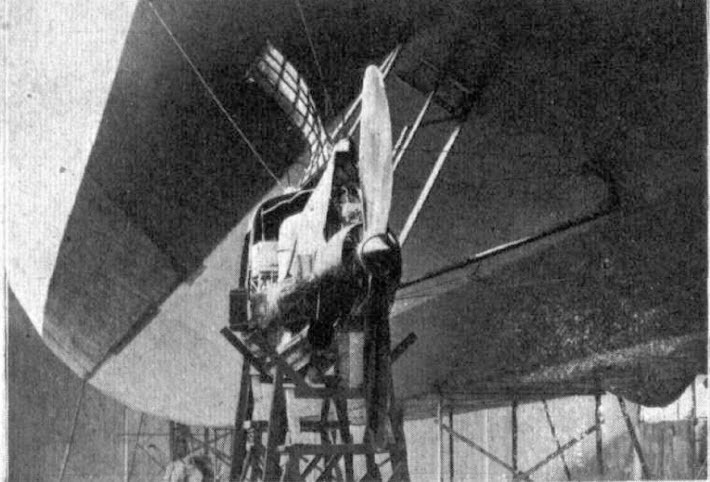 With the original works flight of the L71 on 29th July 1918, the ship was finally commissioned on 10th August 1918 and the ship was designated to Kapitain Martin Dietrich and Executive officer Lt S. Eisenbeck. . She carried out Navy flights then it was decided that she would be lengthened and she was put in the shed at Friedrichshafen from 3rd October to 28th October. When she emerged and flown up to Alhorn, the war was in it's final days. This brand new ship stayed in the shed with the L 64 awaiting to hear her fate. With the end of the war, the German crews were ordered back to their bases on 9th November 1918. 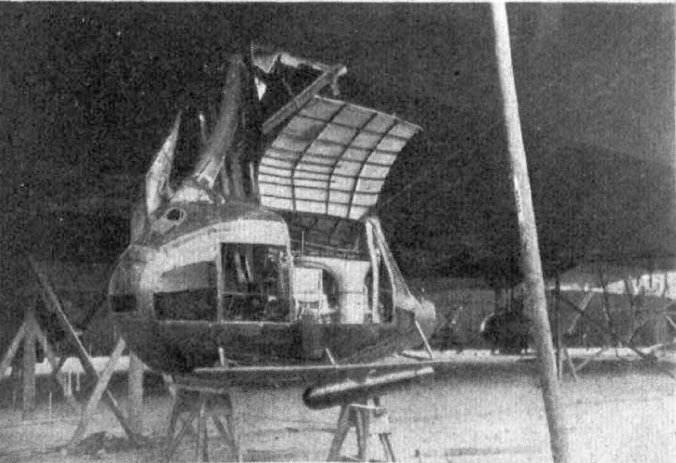 The ground crews were segregated from their officers, and the ground crews then ordered to deflate their ships and leave them suspended from the roofs of the airship sheds, as was the normal procedures for large rigid airships. 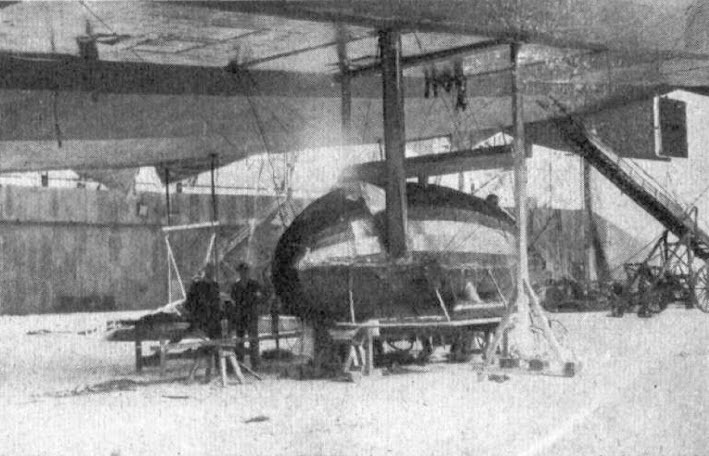 When the lifting gas was valved off the weight of the ships was taken by large slings in the forms of loops which suspended the craft from the roof, and thus preventing the ships control and engine gondola's being crushed under the weight of the framework above. 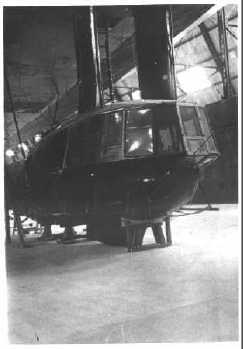 At Alhorn air station, however no action was taken by the crews and the L-64 and L-71 remained intact. 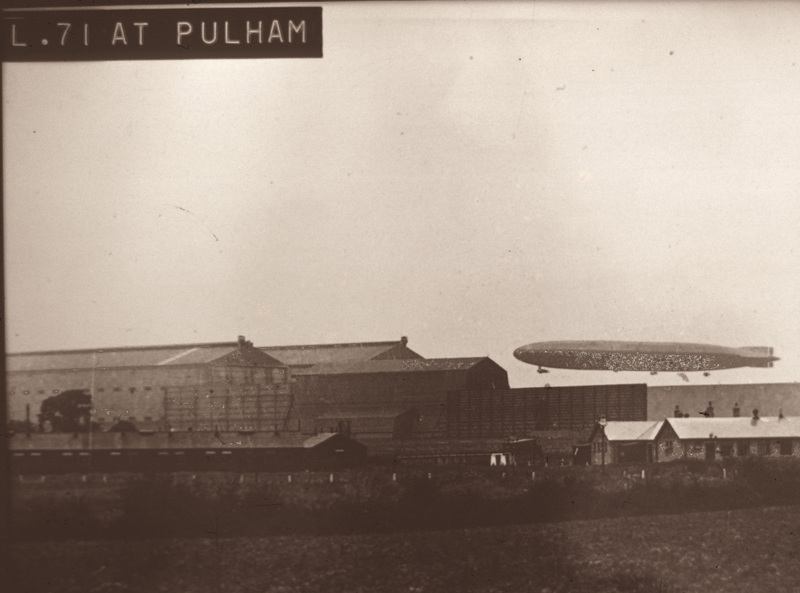 It was not until the 30th June 1920 that the L 71 was handed over to the British and she was flown in to Pulham Airship Station by her German crews. She was expertly landed and impressed not only the Station officers but also the local people who had witnessed her arrival. The ship stayed in the shed but later it was decided that the ship donate two of her engine cars to the newly constructed R 36. This was a strange twist of fate in that it was the R36 which aided the destruction of the L 71. R36 was returning to Pulham after a local flight. Upon approaching the airfield, the R36 was snagged on her forward mooring cables and when Captain Scott overran the mooring tower. The strain was too much for the bow of the ship and the forward two gas bags deflated. As the ship was unmanageable with the loss of lift in the forward section, it was decided that the R36 must be put in to the shed. However the shed at Pulham was already full with the L64 and L71. It was suggested that the R36 be moved off to Howden but this was too dangerous a flight. She was lowered to the ground, and Captain Scott took the decision to sacrifice the two German ships. With the benefit of hindsight, both of the German ships were now some 3 years old and technology was moving on fast. Radical decisions to scrap ships had happened throughout the whole of the British Airship Programme due to costs and so it cannot be seen as quite so wasteful to get rid of these ships, which were now deemed obsolete considering the move to create more "commercial" ships. The German ships once delivered, were never flow by British crews.